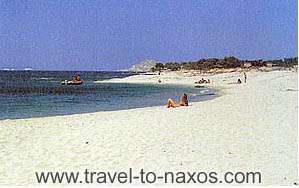 Naxos is the largest of the Cycladic Islands and considered to be one of the most interesting. 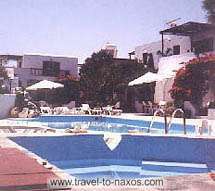 Situated just 106 miles from the main port of Pireaus with high speed boats (3 hours) or regular ferryboat connections or by Olympis Airways. 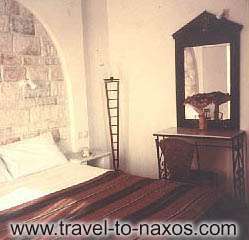 Hospitality and tradition welcomes you. With such peace and pleasure awaiting, it must be your best choice of destination. In the South West part of the island, at 17 km from the town center (Chora), in Kastraki, there are unlimited beaches, probably the most enchanting in the Mediterranean. 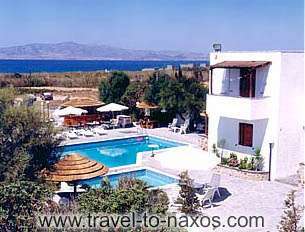 Sandy beaches spreading over kilometers and crystal-clear sea waters make this area ideal for those who long for relaxing days in a quiet place, away from overcrowded summer resorts. For you who dream of spending your holidays in a quiet place near a boundless white beach, enjoying the sunshine and the nature, we created the Summerland Complex. Summerland is ideally suited for family holidays, individualists and honeymooners who desire relaxing in a calm and quiet environment. 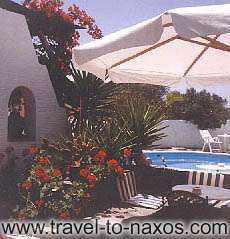 Summerland is very close to the famous Kastraki, virgin beaches and clean blue seas. 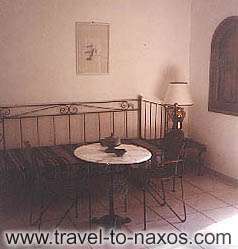 You can enjoy walking, bicycling, swimming or just relax and read quietly by the pool and around the gardens of the complex. In the main area of Summerland, aside from the gardens and free areas, we created many facilities of high standards for your accomodation and a comfortable stay. 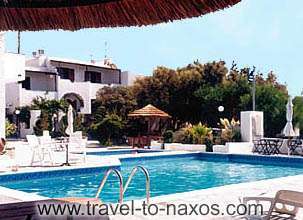 Two swimming pools, (1 children's pool) and SPA where you can enjoy sunbathing is at your disposal together with other facilities, such as an open air bar where you are served breakfast, snacks and refreshments during the day and cocktails, drinks or ice cream in the evening for your pleasure. We also offer you Summerland healthy product restaurant !!! All vegetables and salads we use in this restaurant, are local products without any chemicals etc. 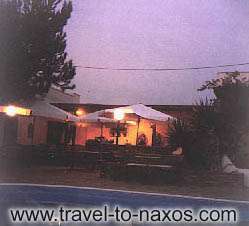 The meats are from free living and eating animals from local village farmers, born in Naxos since generations. 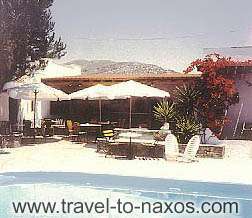 You are offered as well a place for your evening barbecue, a Gym and a table tennis room, a children's playground, parking lot and an information desk which will make arrangements for your excursions, your tickets and motorcycle or car rental. We created Summerland Holiday Resort only 250 meters away from this magnificent and secluded beach, consisting of 12 comfortable and nicely arranged studios, 3 regular and 7 deluxe apartments, 3 of them with 2 bedrooms and living room for 4-5 people and 4 of them with 1 bedroom and living room for 3-4 people built on the principles of traditional architecture. Summerland Complex is expecting you and its staff promises to offer you its best services so as to make your stay comfortable. Each of them consists of the one or two rooms fully air-conditioned, WC, shower, fully equipped kitchen, direct dial telephone and private veranda. Please do not hesitate to contact us, should you require further information.